Have you ever wondered why you wake up sore after a good workout? Have you noticed that you feel great or horrible the next day with little in between? There are a few reasons why you feel that way. Today we will look at protein and its process of helping you heal your aching muscles. Here is a study that tested what is happening with your body when you sleep. It has been demonstrated that protein ingestion before sleep increases muscle protein synthesis rates during overnight recovery from an exercise bout. However, it remains to be established whether dietary protein ingestion before sleep can effectively augment the muscle adaptive response to resistance-type exercise training. Objective: Here we assessed the impact of dietary protein supplementation before sleep on muscle mass and strength gains during resistance-type exercise training. Methods: Forty-four young men (22 ± 1 y) were randomly assigned to a progressive, 12-wk resistance exercise training program. One group consumed a protein supplement containing 27.5 g of protein, 15 g of carbohydrate, and 0.1 g of fat every night before sleep. The other group received a noncaloric placebo. Muscle hypertrophy was assessed on a whole-body (dual-energy X-ray absorptiometry), limb (computed tomography scan), and muscle fiber (muscle biopsy specimen) level before and after exercise training. Strength was assessed regularly by 1-repetition maximum strength testing. Results: Muscle strength increased after resistance exercise training to a significantly greater extent in the protein-supplemented (PRO) group than in the placebo-supplemented (PLA) group (+164 ± 11 kg and +130 ± 9 kg, respectively; P < 0.001). In addition, quadriceps muscle cross-sectional area increased in both groups over time (P < 0.001), with a greater increase in the PRO group than in the PLA group (+8.4 ± 1.1 cm2 vs. +4.8 ± 0.8 cm2, respectively; P < 0.05). Both type I and type II muscle fiber size increased after exercise training (P < 0.001), with a greater increase in type II muscle fiber size in the PRO group (+2319 ± 368 μm2) than in the PLA group (+1017 ± 353 μm2; P < 0.05). Conclusion: Protein ingestion before sleep represents an effective dietary strategy to augment muscle mass and strength gains during resistance exercise training in young men. Wow, the study really helps solidify the need for having protein right after you workout and right before you go to bed. This is crucial if you want to increase your muscle mass and strength gains during your weight training. This also shows how important it is to sleep when you are exercising. You can make great improvements on your muscle development by getting the proper amount of rest. So the next time you have a great workout and you are considering going out to party all night long, remember that your lack of sleep will work against you when it comes to growth and repair of your muscles. Think about what happens after you finish your workout and you go run your errands without eating anything. Your body is looking for calories, particularly proteins and carbohydrates, yet you give it nothing until you get home. There is a better approach, which is to have your protein source ready to drink. Timing is crucial when it comes to placing quality calories in your system after your exercise. 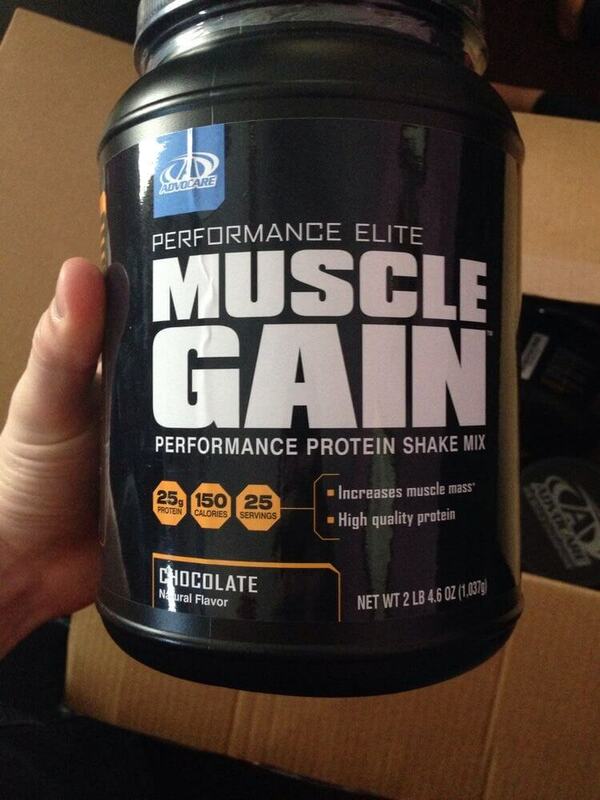 At Git Right, we have AdvoCare Muscle Gain and AdvoCare Post Workout Recovery. These supplements are great when they are taken together. You drink the Muscle Gain before your workout, then you drink the Post Workout recovery after your workout. You can take your Post Workout Recovery after one of our sports performance classes (see www.gitrightspf.com), bootcamp class or personal training sessions. Muscle Gain is 25 grams of high-quality, easily digestible protein which provides nutritional support for increasing muscle mass. It also supports muscle-enhancing enzymes, metabolic processes, and helps maintain and restore energy supplies during and after physical activity. The Post Workout Recovery helps minimize muscle soreness after strenuous activity. It supplies essential components for muscle repair to optimize muscle recovery. In addition, it contains branched-chain amino acids to support muscle recovery, growth and endurance. These are positive results that come from you selecting the right time and the right supplements to assist you in your growth and repair process after your resistance-type exercise training. You may be saying to yourself, I don’t do resistance-type exercises, well keep in mind that if you move your body, you are using your muscles. So even if you are an endurance athlete, ballerina, cheer leader, dancer, and band member, you can benefit from having high quality protein in your system before and after your activity. Make sure you call 855-734-4878 to get more information on protein consumptions.